Bideford Travel is a member of Hays Travel's IG (Independence Group). 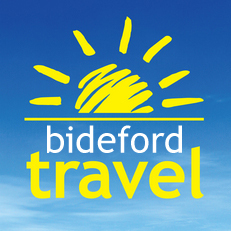 Bideford Travel is the second shop from the Braunton Travel Ltd group an independent travel agent based in the North Devon. 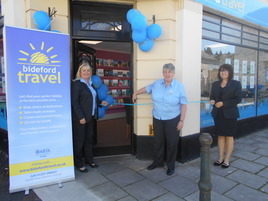 We felt that Bideford and its surrounding area needed its own independent travel agent, so we opened in Mill Street in August 2018 to bring the same customer service experience for residents of Bideford, Northam, Instow, Westward Ho!, Torrington and the surrounding area. Our team are passionate about travel and work hard to find you the best holiday experience from enquiry to departure. As an independent travel agent, we have a huge range of tour operators and work hard to ensure that the holiday offered suits you! Whether you are looking for a bucket-list experience, family holiday, cruise, city-break or a well-earned holiday at the end of a busy summer season, Bideford Travel is there for you offering valuable information and inspiration. 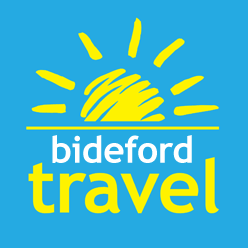 As Bideford is full of lovely independent shops, we are really pleased to be able to bring you an independent travel agent with lots of experience. Our many regular customers seem to like what we do and they often recommend us to their friends and family. Contact us to see if we can help you with your travel plans. We have a vast range of holidays to choose from and work hard to find the best match for you. Bideford Travel sells travel services on behalf of Hays Travel Limited and benefits from Hays Travel's membership of ABTA with membership number P7298. ABTA and ABTA Members help holidaymakers to get the most from their travel and assist them when things do not go according to plan. We are obliged to maintain a high standard of service to you by ABTA's Code of Conduct.